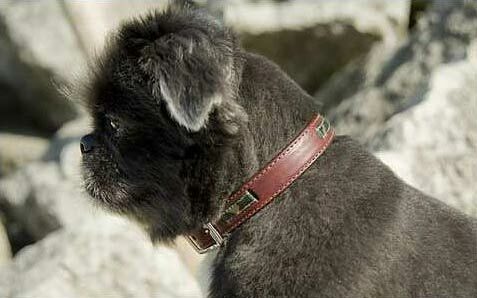 This brown, full grain leather collar is interwoven with grosgrain ribbon. The rough & tough camo collar is double-layered for additional sturdiness and safety. It's beveled, hand finished edges provide your pet with additional comfort. 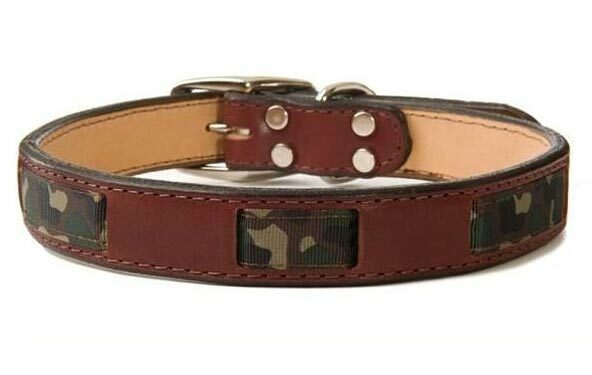 The rough & tough camo collar is sure to bring your pet a strong, strapping style. It is Made in the USA! This brown, full grain leather collar is interwoven with grosgrain camo pattern ribbon. The rough & tough camo collar is double-layered for additional sturdiness and safety. Designer collar by Bookie and Belle.